The magic number for most people to retire is age 65. However, some people will retire before then, whether by choice or by chance. 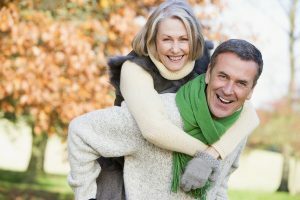 If you will be retiring before “normal retirement age”, you may face many challenges, such as how to tap into your assets, the high cost of health care before Medicare age, and how to stretch your assets out for a longer retirement period. If you are considering retiring early, here are five things to consider before turning in your pink slip. 1. The IRS doesn’t want you to touch your retirement accounts before your sixties. To enforce this, it assesses a 10% early withdrawal penalty if you tap into your IRA before age 59 ½. There are a few ways to get around this rule. One way to avoid the 10% penalty is by taking 72(t) distributions. Under a provision in the Internal Revenue Code, you can withdraw funds from a traditional IRA prior to age 59½ in the form of substantially equal periodic payments (SEPPs) over the course of your lifetime. The schedule of payments must last for at least five years or until you reach age 59½, whichever period is longer. Once the schedule of periodic payments is established, it cannot be revised – if the payments are not taken according to schedule, you will be hit with the 10% early withdrawal penalty on all the payments taken. Distributions under a 72(t) plan are taxable income. Or, you can choose to leave your 401K with your employer when you retire. 401K plans have different age requirements than IRAs. Unlike an IRA, if you separate from service (retire or otherwise lose your job) at age 55 or later, and you leave your funds in your employer’s retirement plan, you can take distributions without penalty. If you retire or lose your job before reaching age 55, this exception does not apply. If you have a Roth IRA or Roth employer-sponsored retirement account, things get easier. You can withdraw your contributions to these accounts at any time without incurring taxes or penalties. At age 59½ or older, both account contributions and account earnings can be distributed tax free and penalty free if you have held the account for at least five years. 2. The cost of healthcare for retirees can be very high; some early retirees even get a part-time job just to pay for health insurance! If you retire early, you could have several years before you are eligible for Medicare. Some companies offer retiree health coverage, but this is rare. COBRA is available for 18 months after you retire, but if you are still under Medicare age when COBRA ends you will need to purchase your own insurance. Health insurance for early retirees can be very high (the average monthly premiums for people age 55-64 were $580 according to eHealth’s Health Insurance Price Index Report for 2016), so you will need to plan for this if you are retiring early. A health savings account can help bridge the high health coverage cost for early retirees. Contributions to HSAs are tax deductible, and the assets within them grow tax-free. HSAs can help with health care costs until you reach Medicare age; in addition, they are also sometimes called “backdoor IRAs” because you can use the money within them for any reason without penalty once you turn 65, not just for qualified health care expenses. 3. Your assets will need to last longer when you retire early. With the average life expectancy in the mid-80s and many people living into their 90s, your assets may need to last for 30-50 years! To avoid outliving your money, you will either need to save more, work part-time during retirement, or reduce your withdrawal rate. Most people have heard of the 4% withdrawal rate as a baseline to keep from running out of money during your lifetime. However, this may be too optimistic if you are retiring early; 3% or 3.5% may be more realistic if you will be retired for 30 years or longer. 4. You can’t tap into Social Security until age 62, and even then, you may not want to. If you retire before age 62, you won’t have access to Social Security, a main income source for retirees in the United States. The full retirement age for people retiring today is age 66, so if you start collecting benefits at age 62 you will be penalized. Many early retirees plan on starting Social Security at age 62, but that may not be your best strategy. The trade-off for collecting benefits early is that you will receive proportionately smaller monthly benefits over the rest of your life compared to the larger monthly benefits you could receive by claiming at your full retirement age or later. With inflation and the related cost of living adjustment that Social Security beneficiaries receive, delaying benefits can make a big difference in your later years. 5. Retiring early can mean tax challenges, and tax planning opportunities. As mentioned earlier in the article, tapping into your retirement accounts when you retire early can be challenging. However, retiring early can also present tax planning opportunities, such as doing Roth IRA conversions or selling appreciated assets at the lower long-term capital gain tax rate while you are in a lower tax bracket. As you can see, retiring early has many financial challenges. You should consult your financial or tax advisor before making any early retirement decisions. This is a critical financial juncture in your life, and whether you find yourself retiring early by choice or by chance, the decisions you make could have lifelong impact. This material was prepared in part by MarketingPro, Inc., and does not necessarily represent the views of the presenting party, nor their affiliates. This information has been derived from sources believed to be accurate. Kristine McKinley is a fee only financial advisor in Kansas City, Missouri. Kristine provides retirement planning, tax preparation and planning, investment reviews and comprehensive financial planning on a fee-only, as needed basis. To schedule your complimentary introduction meeting, please contact Kristine at kristine@beacon-advisor.com.